In the illustrious 94-year history of the Flying Yankees, 2017 was a year that stood out. It was a year of change but, above all, a year of achievements for the 103rd Airlift Wing. The most significant change was the conversion to a tactical airlift mission early in the year. 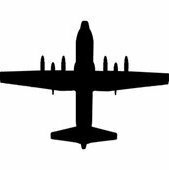 The unit, which had previously flown the A-10, now files the C-130. The Flying Yankees were put to the test when they were tasked to deploy with their C-130s just five months after the mission conversion. Nearly 400 members of the unit deployed to various locations overseas; 1,341 combat sorties were completed during those short deployments. In total, the Flying Yankees flew 2,503.9 hours and managed to accomplish every mission that they were tasked with that year. Shortly after the Flying Yankees returned from performing their federal mission overseas, they were tasked with a domestic mission—hurricane relief. In August 2017, Hurricane Harvey devastated southeast Texas. In response, the 103rd undertook its first Hurricane Disaster Relief Mission utilizing C-130s. Then, just days later, the Flying Yankees were in the air again, headed to Saint Thomas, U.S. Virgin Islands, with six tons of disaster-relief cargo in response to Hurricane Irma. In support of hurricane relief, the unit transported more than 200 tons of cargo, which included food, water, power generators and supplies—and flew more than 261 military and civilian medical personnel in and out of disaster areas; the Air National Guard’s unique ability to respond rapidly and effectively in the event of a natural disaster was on full-display, courtesy of the 103rd Airlift Wing. 2017 was a busy year, but not too busy for the Flying Yankees to reach out to the community that supports them every day. The wing hosted events such as Bring-a-Friend to Drill Day, in which new Air National Guard enlistees invite friends on base to get an idea of what it’s like to serve in the 103rd Airlift Wing. Additionally, 103rd recruiters and public affairs staff gave several base tours to members of local organizations, including the Boy Scouts of America and the Civil Air Patrol. The year of changes and achievements ended appropriately, with yet another major change. After more than eight years as commander of the 103rd Airlift Wing, Col. Frank Detorie relinquished command, and Col. Stephen Gwinn assumed command of the 103rd Airlift Wing. Looking forward, plans for the wing include continuing to build on what Col. Detorie has achieved, not only through the outstanding performance of the members, but with base improvements; more than 30 million dollars in construction projects have been completed on Bradley Air National Guard Base and more projects are underway. Given all that the 103rd Airlift Wing accomplished, 2017 can be summed up in one word: Extraordinary.